Opening day at the small pond with full of early expectations. Woke up bright and early. Got to the front of the gate around 0430 with many cars ahead of me and 0550 off we go. Wet lines around 0615 using my lindy rig with green orange mice tail. 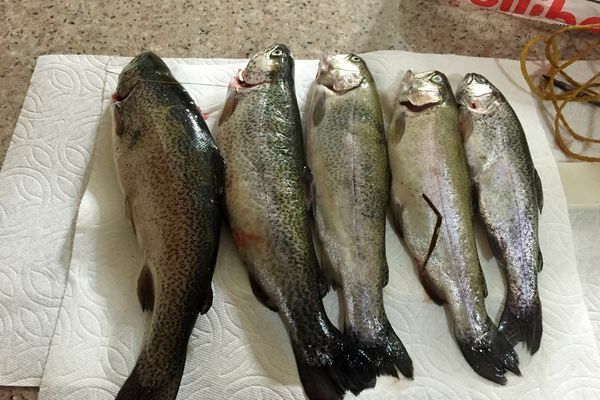 Within 10mins i got 3 on the stringers and couple missed after that. Unfortunately fish shuts off for most of us around 0730. Many left behind me with only couple fish and few with limits. Did move around to find my sardines. Luckily around 0900 i got my limit. Be back again tomorrow afternoon. Good luck guys. Great job! 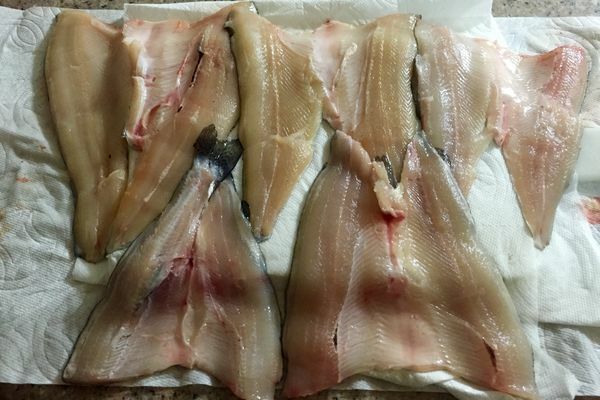 Are you turning your catch into Daing based on the way your are cleaning them? Rigged for Lake Michigan Salmon. With the warmer water I was doing a lot better with a small vibrax spinner than the old tried and true power bait. If things get slow try going to lures to wake them up. Good luck all. Nah just salt, pepper n goes to hot olive oil. Dont know how to do that hihi. When there's plenty of space but kinda hard to cast while everyone around you are soaking powerbait down to bottom. Recipe for tangles n not so good comment from others. Due to work schedule, i didnt got a chance to come out all day sunday but went yesterday and limited in less than 30min. Even releasing few that are hooked by the lips. Only a handfuls of people fishing which is nice for a change. Coming back in few hrs to catch some more. 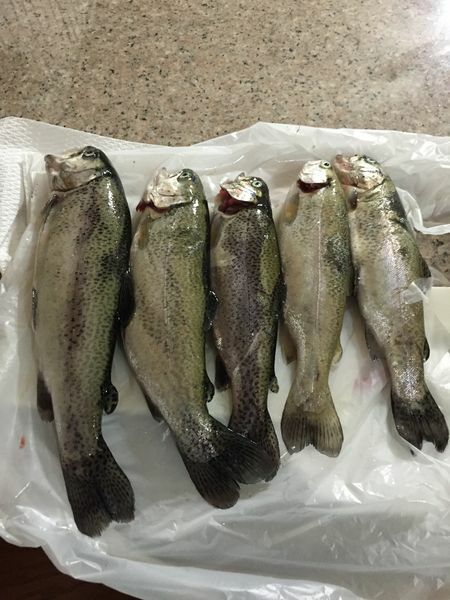 Yesterday's catch after work from 9am to 10am. So far 3 trips 15fish. 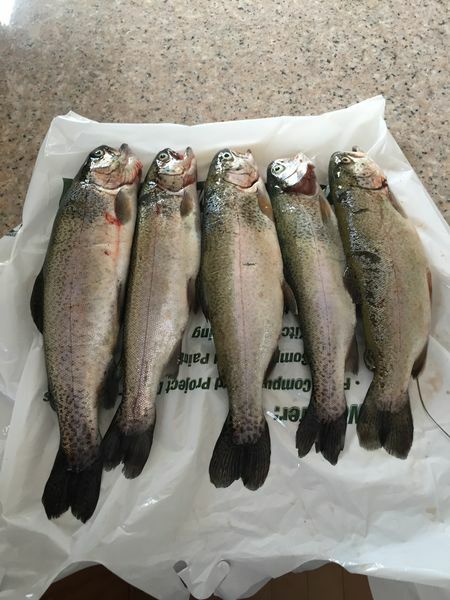 At the end of my inland trout trips, i will compile all the videos i took. Chitown-Angler was started on February 10, 2003 and has received 207589883 page views in total since that date.